After a metal post is placed, the restoration is completed with a replacement crown. 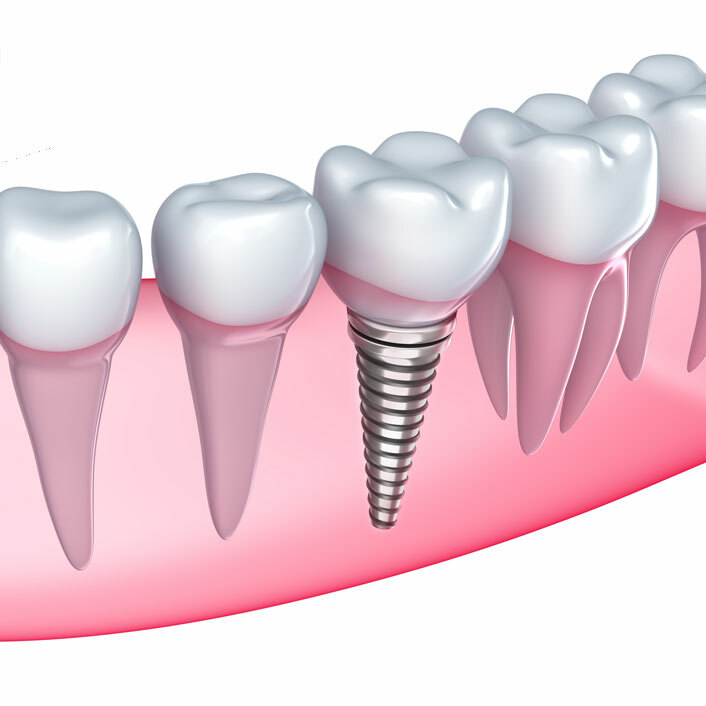 While implants are typically more expensive than other methods of tooth replacement, they provide superior benefits. Implants are stronger than natural teeth and generally last 10-20 years. They are also a more favorable approach than bridgework, because they do not depend on neighboring teeth for support.